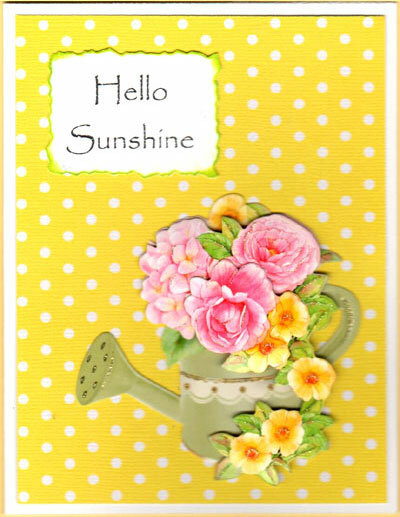 Sunny and bright says it all! 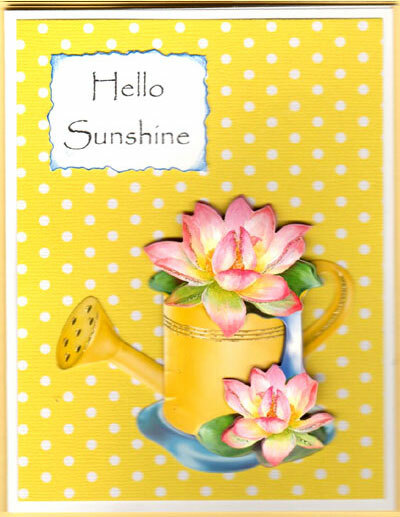 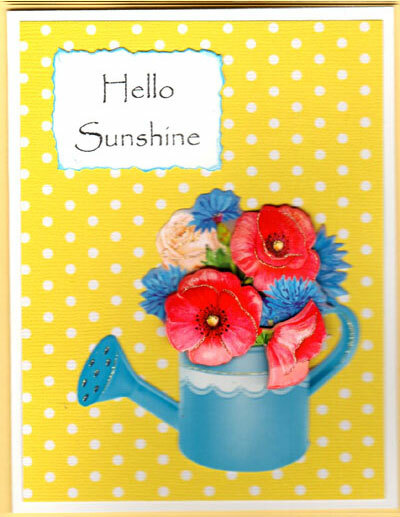 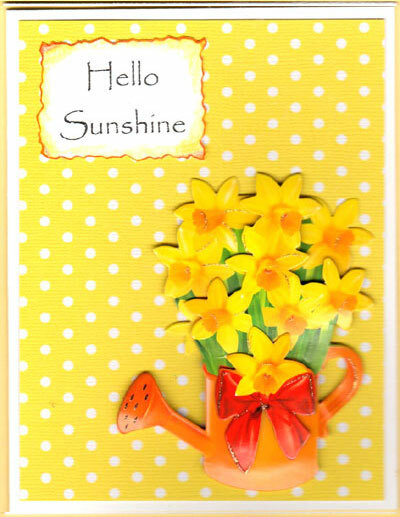 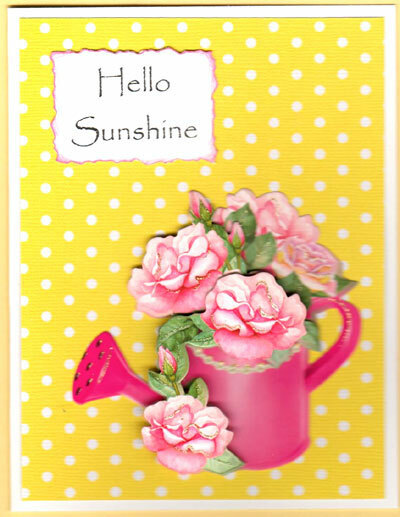 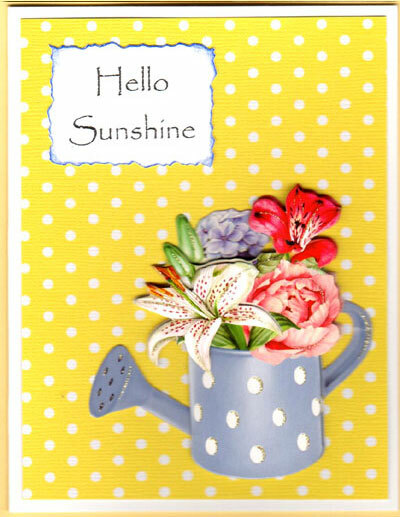 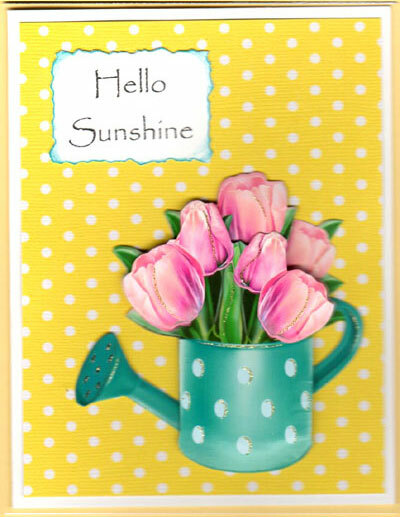 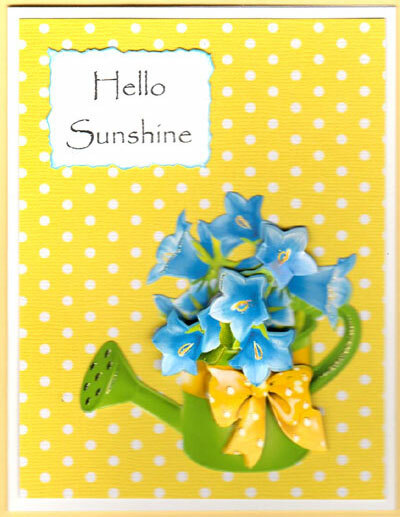 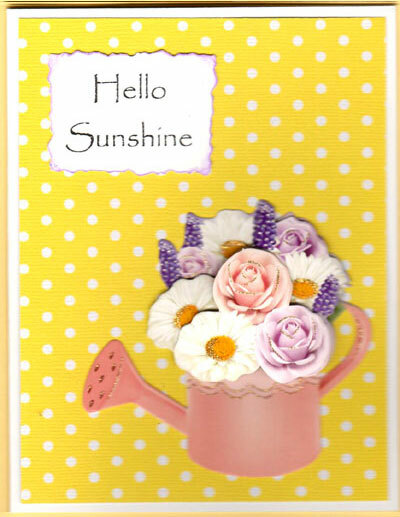 Let sunshine and flowers brighten your day with this cheerful card set that makes TEN beautiful cards! 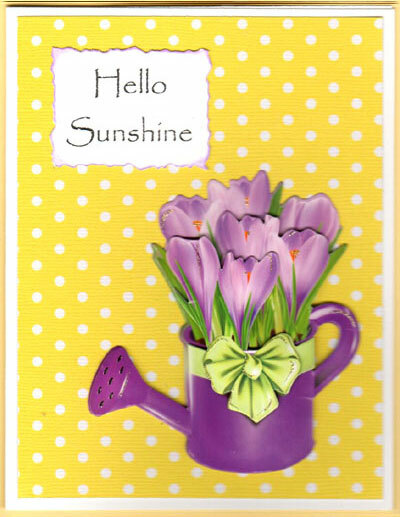 The 3-D Watering Can designs are pre-cut and pre-glittered - just layer with foam tape ($2.95) to assemble.